Anna Sui cosmetics first came to my attention when I was in high school and flipping through the pages of Seventeen. I distinctly remember a full-page spread about the new beauty line with quotes from Anna explaining how her love of colour and texture, her favourite flower (the tea rose), and her favourite colour (purple) informed every single detail of the collection. 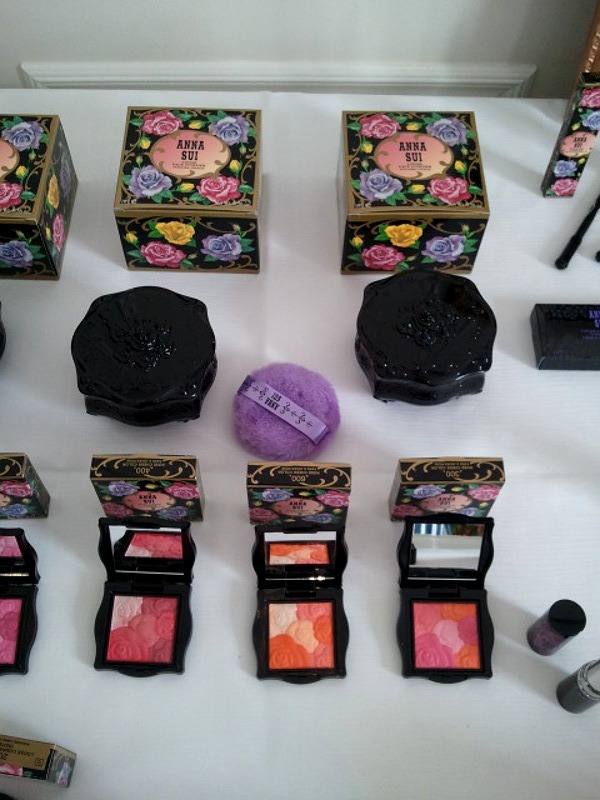 Fast forward 15 years, and Anna Sui's then fledgling beauty line is going as strong as ever. The line now includes lip, eye, and nail cosmetics as well as a full range of face products, refillable compacts, and vanity accessories. 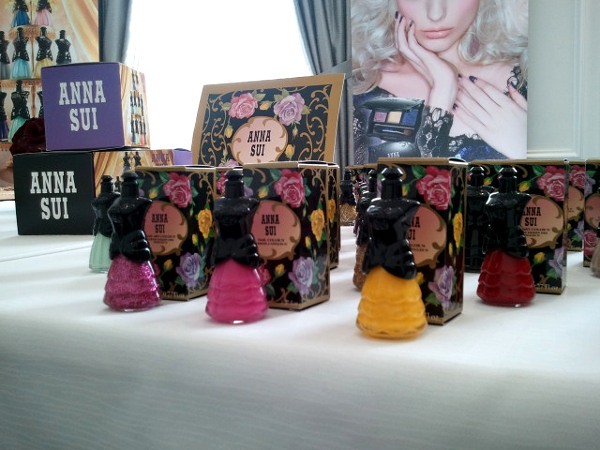 Anna Sui products are just as likely to win kudos for their adorable packaging as they are for their superior pigments and innovative formulations. 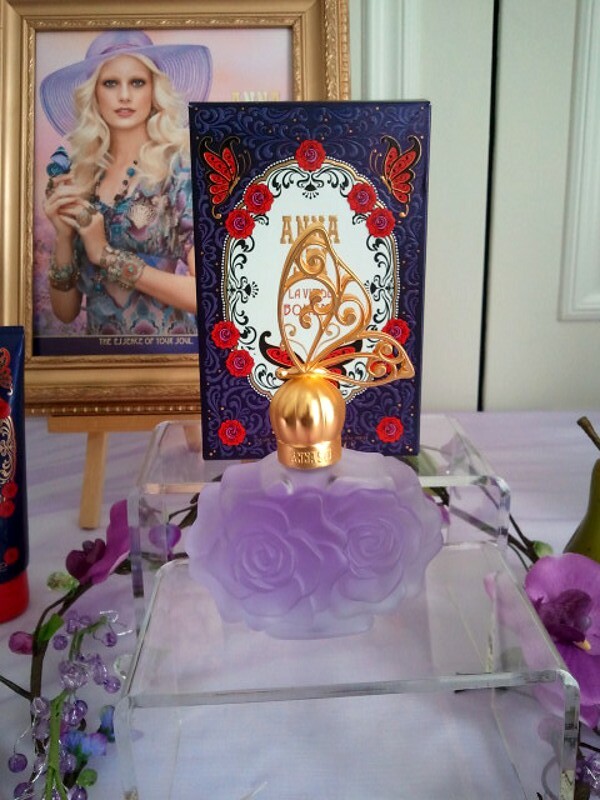 I had a chance to get reacquainted with Anna Sui beauty last week, which is relaunching this fall in Shoppers Drug Mart, Murale, and Hudson's Bay stores nationwide. Here's a little glimpse of what you can expect. 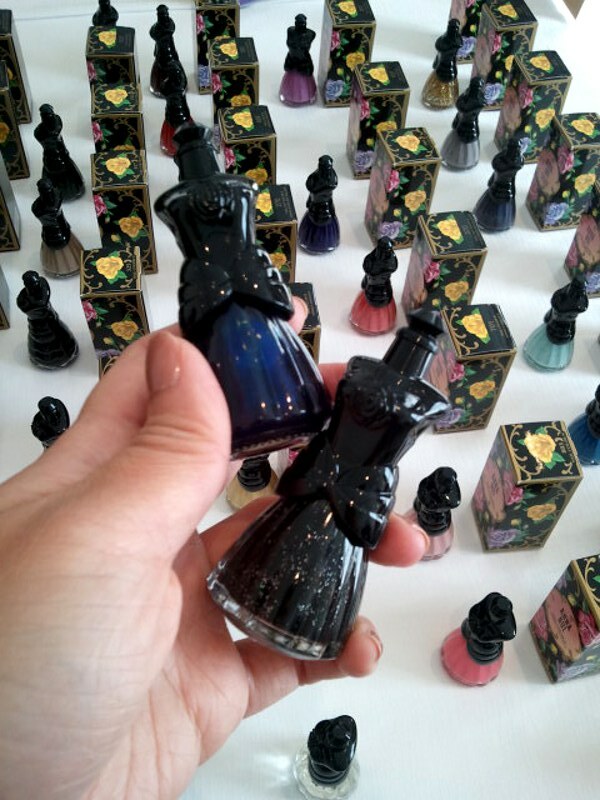 Nailed it: Love the bodice bottles on the nail polishes! The ruffle-skirted gowns indicate shades from the Nail Art Colour N range, which has a unique brush for precise nail artwork. Pleated gown bottles are reserved for the Nail Colour N collection which has standard brushes. Not shown: the ballerina pink Base Coat, which corrects nail discolouration so that nail polishes go on evenly and opaquely with just one coat, and the high-performance Top Coat, which dries to a gel-like shine within minutes. 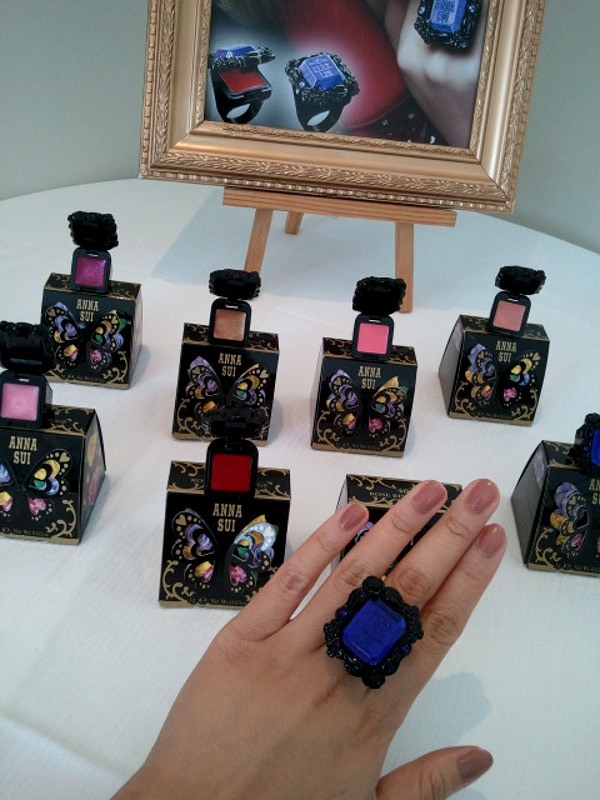 Anna Sui-ify your vanity: Gothic meets girly in Anna Sui's beauty products. Expect to find plenty of black, purple, bows, butterflies, and rose-adorned and rose-scented everything. The Loose Powder (also available in a refillable portable compact) and Rose Cheek Colour have pearly light-diffusing particles that give skin an airbrushed look, just like the other Anna Sui foundations, powders, and face products. Perfect brows: The Eyebrow Colour Compact wraps up everything you need to achieve groomed, bold brows in a neat little bow: a palette of blendable shades to achieve the best match for your hair colour, a double-ended fluffy and angled brush, and a teeny mirror. Not shown: the universally flattering Eyebrow Liner, which draws short, feathery strokes to fill in sparse spots. Bohemian rhapsody: Anna Sui's La Vie de Bohème fragrance launches this August exclusively at Hudson's Bay counters. Isn't that bottle something? The fragrance—an enticing blend of floral, fruity, and woody notes—is pretty and invigorating without being overpowering. Put a ring on it: To celebrate the line's 15th anniversary, Anna Sui is introducing the limited edition Rose Ring Rouge. It's a lip colour you can wear in more ways than one. Available August. Are you an Anna Sui fan? I love Anna Sui packaging! Feminine yet with a rock and roll edge. 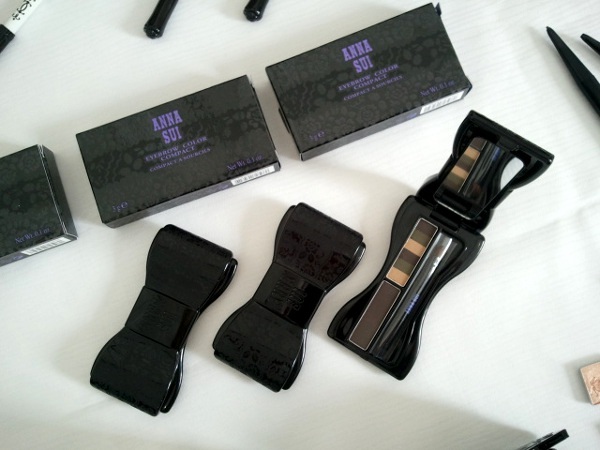 I love her mascara and have a red wallet stamped all over with 'Anna Sui'. Another Anna Sui fan, yay! The packaging really is adorable, isn't it? Adorable packaging as always. Anna Sui was in Sephora, but the brand sort of faded away. Nice to see it's still around. It's a very cool line. Anna Sui has some neat products I haven't seen anywhere else, like a gel formula that you can wear over lipstick (any lipstick) to make it budge-proof.